Sports photography covers a lot of ground. 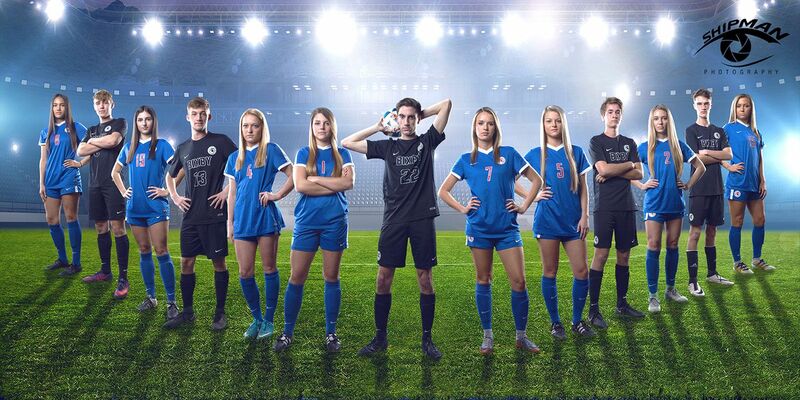 Team and player portraits, custom athletic posters, live action sports photography, themed senior banners, web and promotional graphics, as well as large scale projects like facility graphics, stadium graphics and wall murals are all specialties of Shipman Photography in Tulsa, Oklahoma. 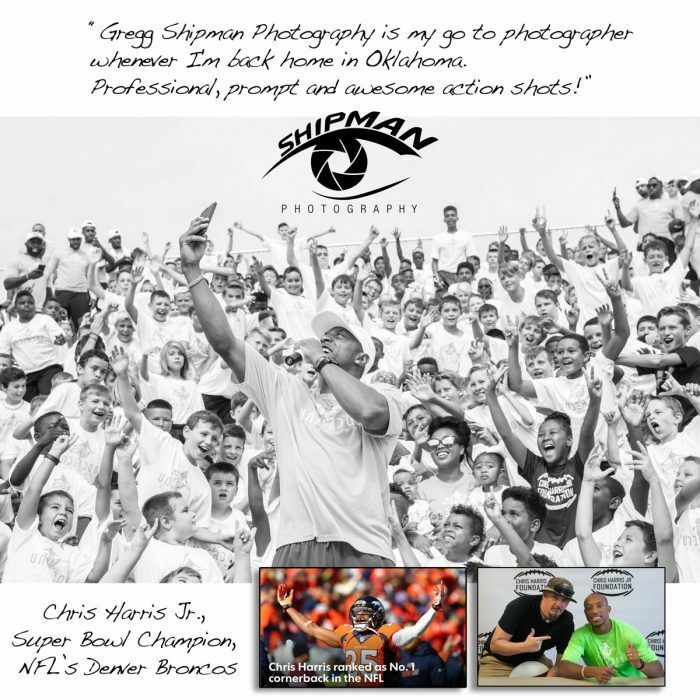 Shipman Photography is a full-service sports photography and design company. 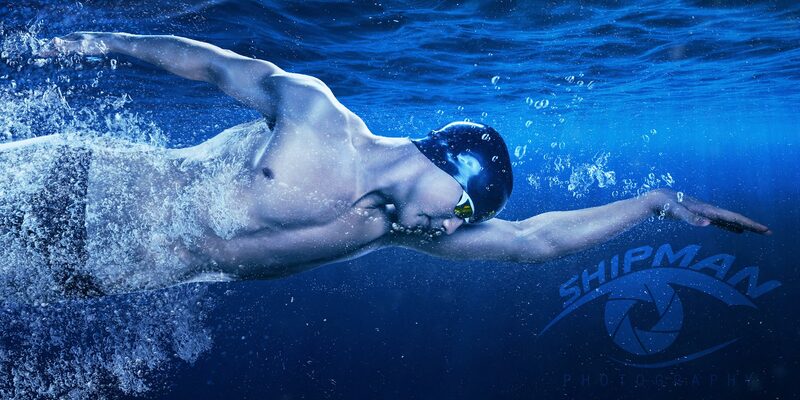 On this page, we’ll discuss in depth the various services, products, gear and techniques we use to create truly personalized and custom artwork for you, your athlete, your team or your organization. 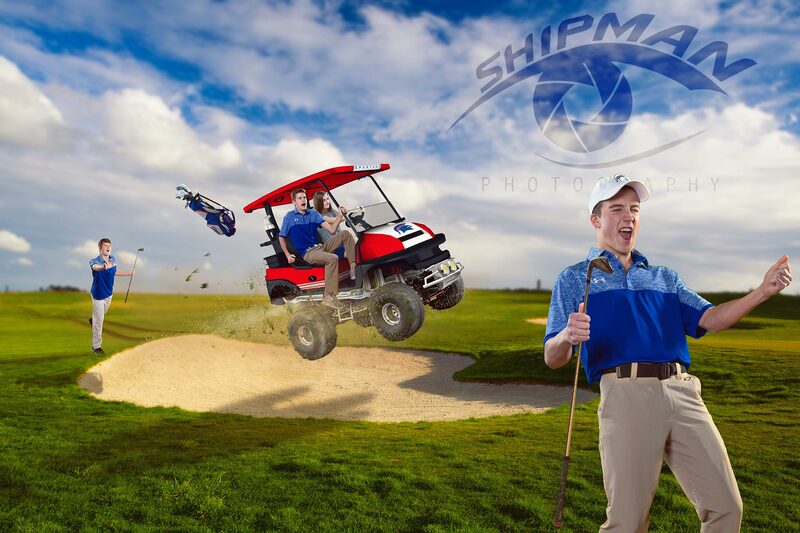 This is the bread and butter of our sports photography program. 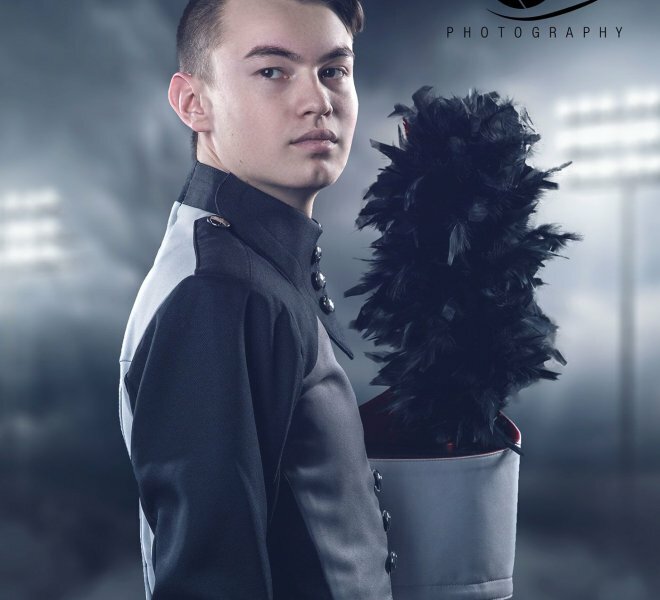 We take the traditional picture day concept and modernize it with online pre-ordering capabilities as well as a la carte ordering options after picture day is over. 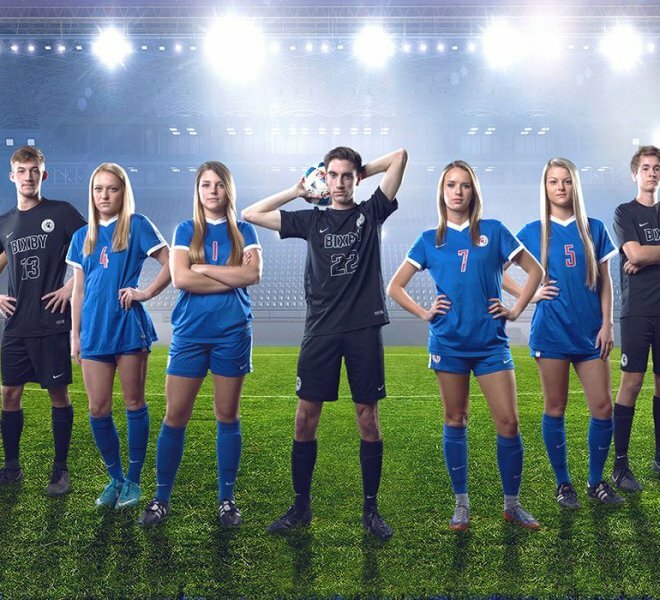 Typically we will coordinate with a coach, team parent representative, athletic director or league leadership to coordinate and plan a picture day. 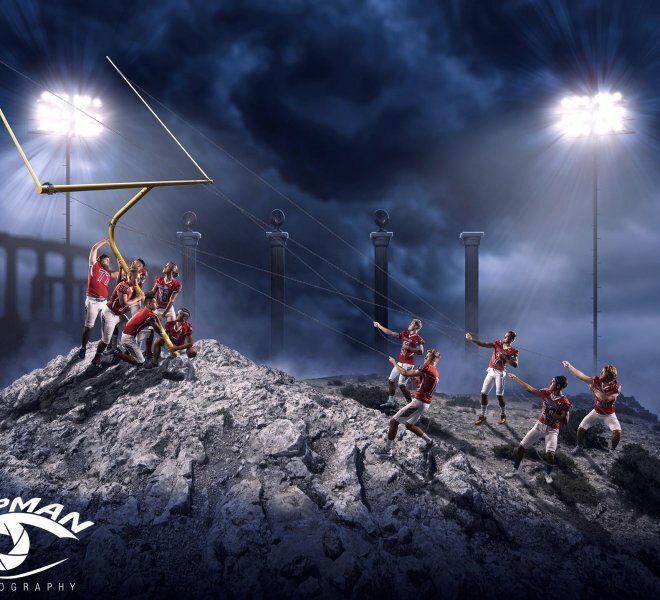 This is usually on site at a game facility or on campus, and the location is planned to take background and lighting into consideration. 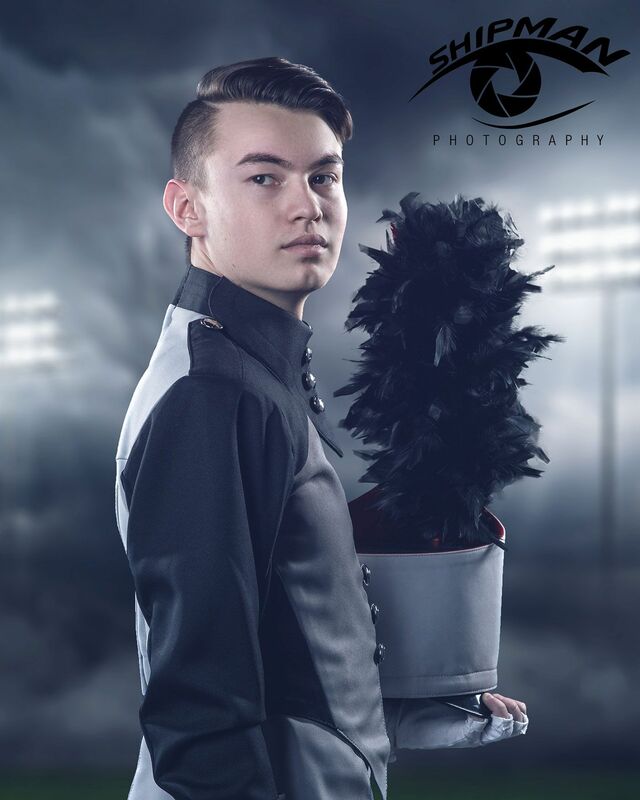 For the player portraits, we will carefully calibrate the lighting and frame the shot to capture not just a picture, but a portrait – with the subject in sharp focus and perfect exposure, and the background softly blurred but also perfectly exposed. 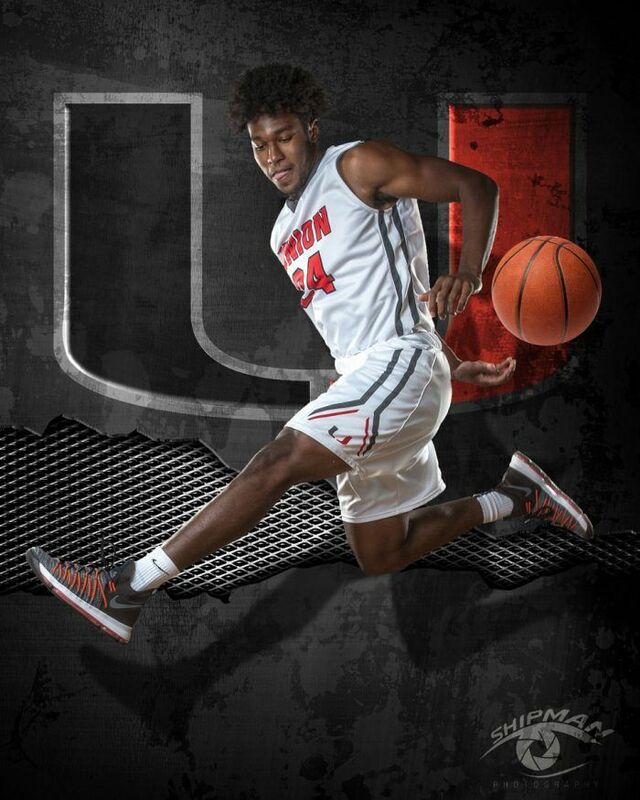 Most often our player portraits are upper body shots, maximizing portrait effects and lighting. We want these images to be of excellent technical and artistic quality – not just ‘good enough.’ We have green screen picture day options available too. We are fast and efficient. 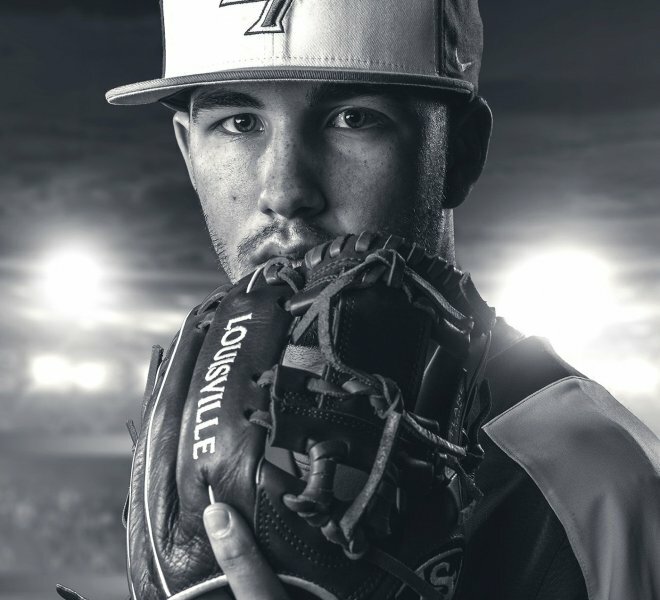 While they appreciate the good photos after the fact, picture day is typically cutting into practice time or game preparation and for them the process can easily be considered to be a necessary evil. 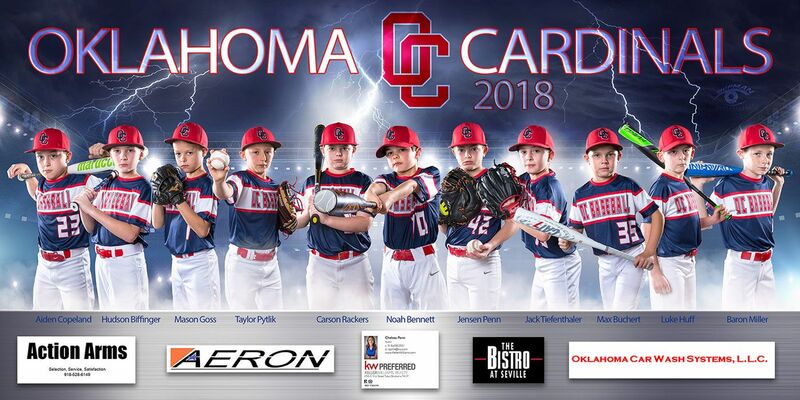 We understand that and put together a production team equal to whatever the task may be – whether that means shooting one youth baseball team of 8 kids or we are shooting an entire youth league of 50 teams or two 6A varsity football programs in the same day. We understand that there is a schedule to keep and we stay on that. 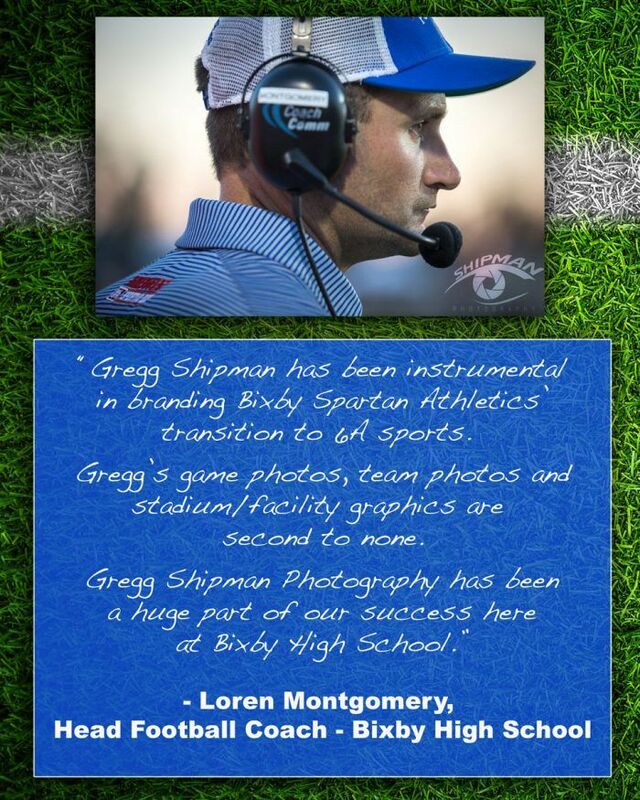 We provide the coaches with complimentary team photos. We understand the hard work, sacrifice and bond with their players that dedicated coaches of all levels experience. 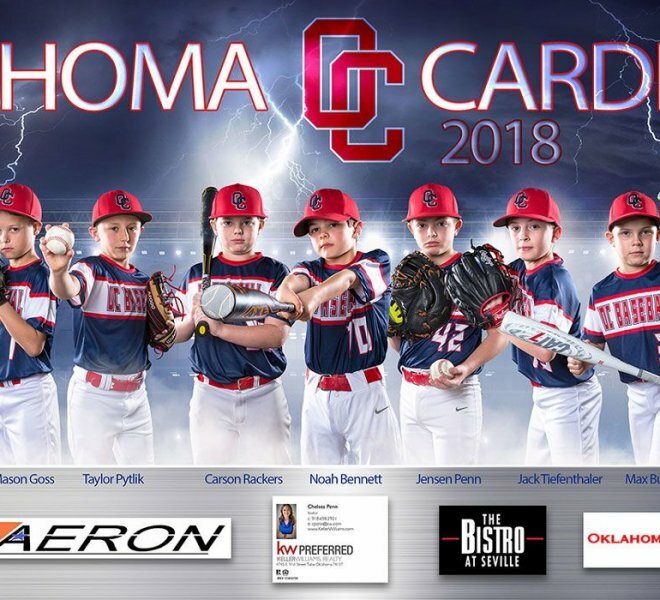 Every year and every team is different and we feel these hard working shapers of American youth should always have a quality reminder of each and every team they worked with, so we always provide our head coaches with an 8×10 team photo at no charge. 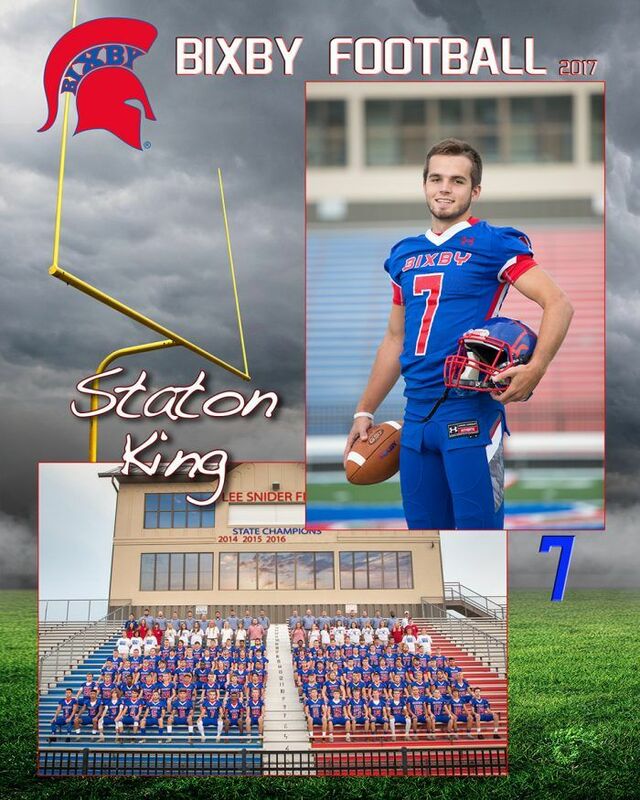 For varsity coaches and programs, we make digital versions of player portraits and team photos available for internal use in gameday programs, yearbooks, team websites, press releases and other opportunities to promote student athletes for awards, scholarships and individual recognition. Our typical turnaround time for orders is 3 weeks, seasonally it may be 4. Sports photography is very different from portrait photography and it’s not often that you see the same shooters excel at both, but we do. Lighting at a high school football stadium or basketball arena is typically such that you have to choose between sharp images or well exposed images. That is where specialized gear and knowledge of how to balance the settings comes in. After that, it takes a knowledge of the game and an anticipation of what is going to happen in order to position yourself in the right place and track the developing action. 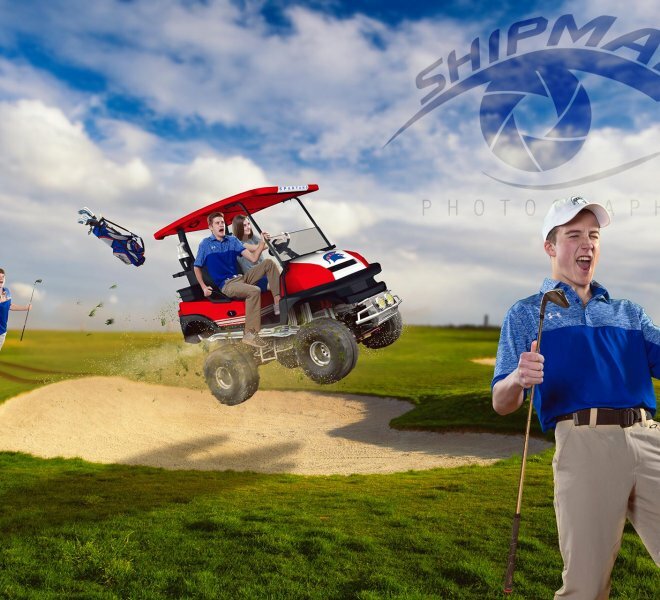 Our live action sports photography is often used to supplement relationships with professional athletes, varsity athletic departments and senior portrait clients, but we are also available for commissioned action photography upon request. 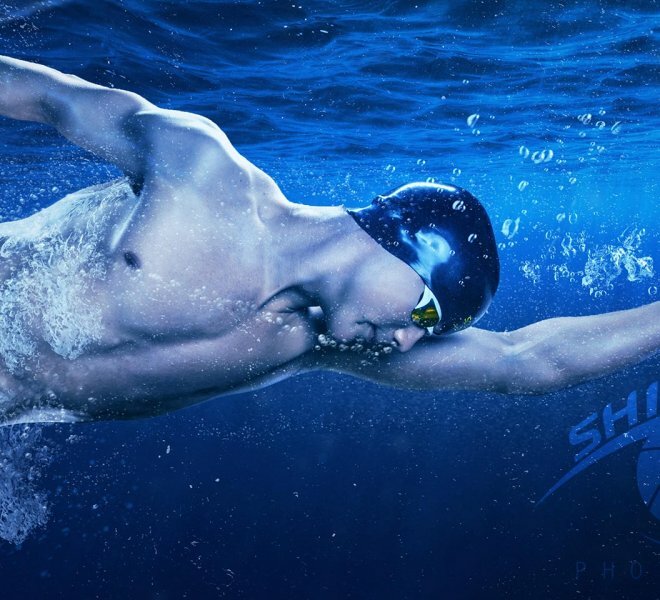 Shipman Photography is nationally recognized as an innovative leader in shooting and designing custom athletic posters. 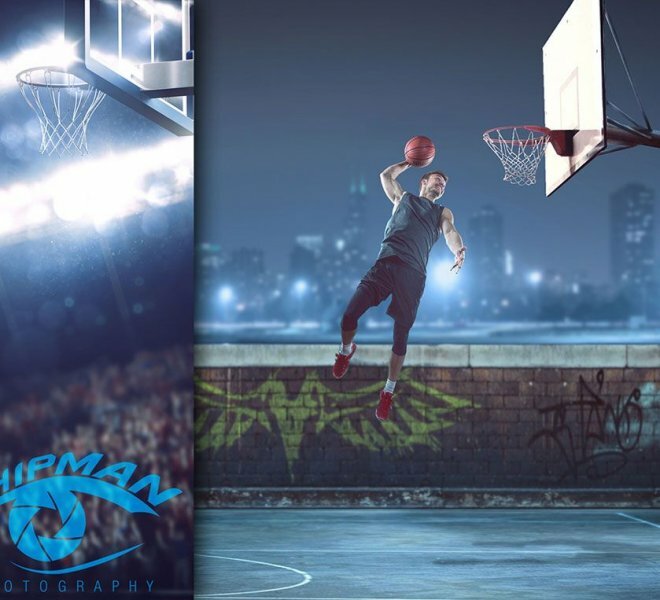 It is truly where sports photography, portrait photography and graphic design meet in an advertising style that is certain to stand out. 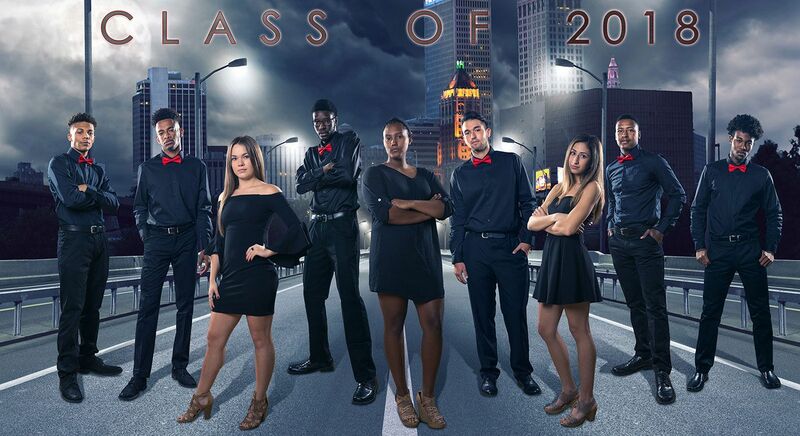 The most common project here is the senior poster, but we have several client teams who do entire team photos this way. Shipman Photography takes a customized and personalized approach to creating nationally recognized cinematic scenes for these athletes – often thematically representing a team’s mission statement (bhs senior poster Back 4 more) or maybe involving some geographic landmark or urban / agricultural character (union poster, tennis poster). These designs start with an idea. Sometimes these ideas are brought to us by coaches, booster clubs or parents. Sometimes we come up with the idea for them. Once the idea exists, we will storyboard the idea and sketch it out to see placement of components and elements. Then we will either shoot these elements or download licensed files with which we will build a digital environment. The environment is important not only as a setting but as a light source, so we always want to make sure that the subjects we put into these settings match the light evident in those settings. Once we understand that, we shoot each player individually. Individually, because then we can move them within the design to find the optimum placement for them, but also so we can get a perfect pose, perfect light and perfect focus on each and every person in the scene. Once shot, we edit them (including any necessary retouch and effects) expertly extract them and place them into the digital scene. Finally we blend the subjects into the scene, color grading, matching lighting angles and effects and apply the finishing touches of yet another custom Shipman Cinematic. 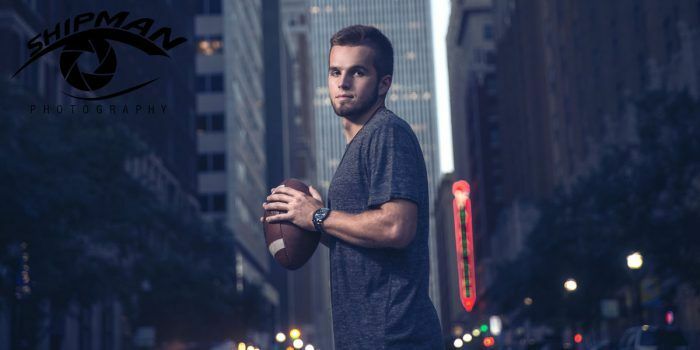 Whether as part of a high school seniors portrait session work, or as visual content for a feature media interview, we can shoot images for athletes that evoke emotion, capture their personalities and tell their stories. 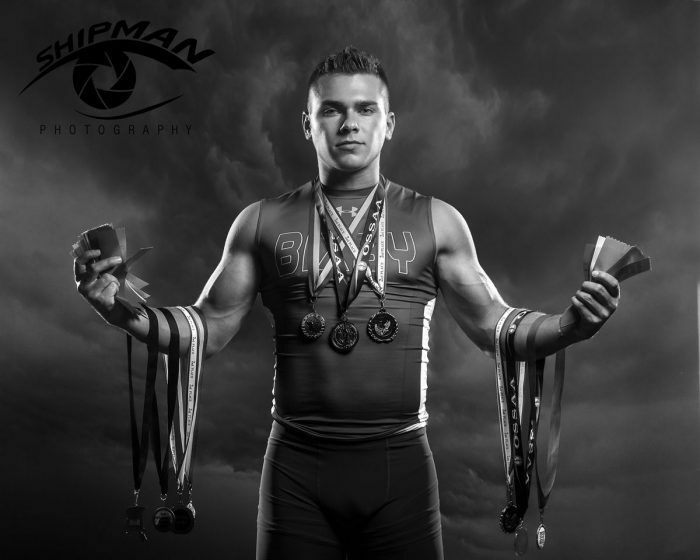 One of our favorite examples of this involved our “ring sessions” that we shoot for senior portrait clients who’ve achieved the ultimate success in their sports. 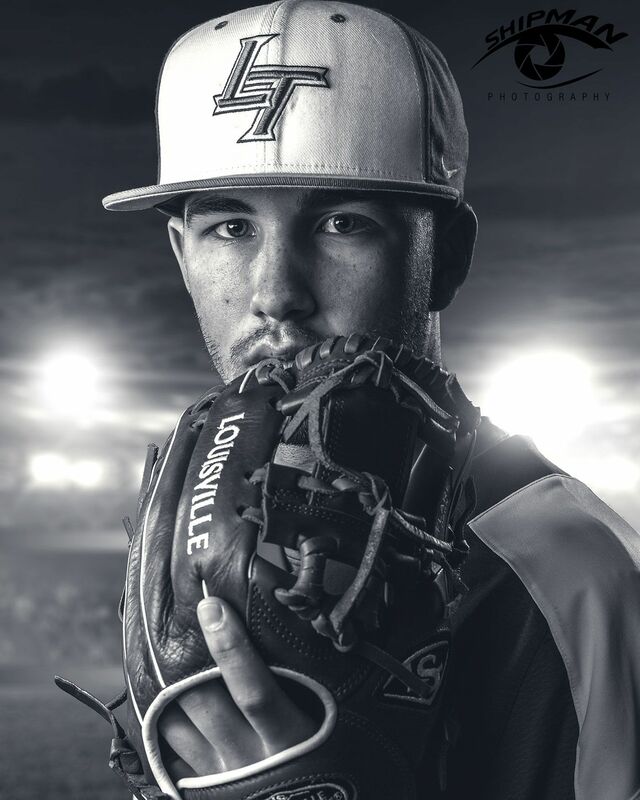 This is sports photography in that we specialize in athletes, but in the high end portrait photography style we deliver to portrait and commercial clients. 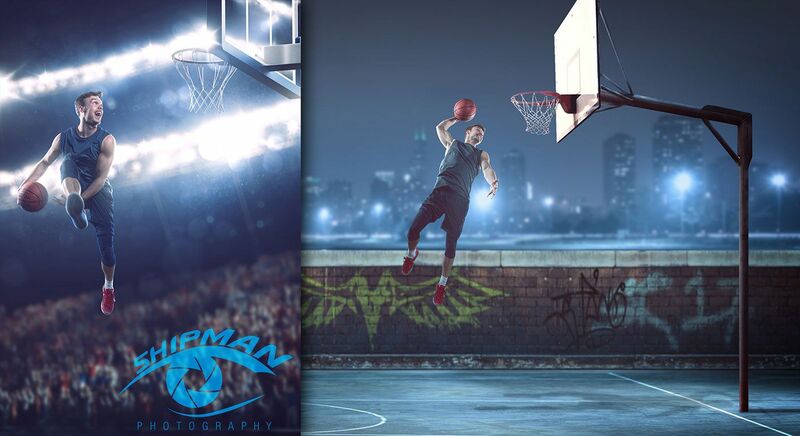 Sometimes it involves creating composite “Shipman Cinematics” photography for an individual athlete. 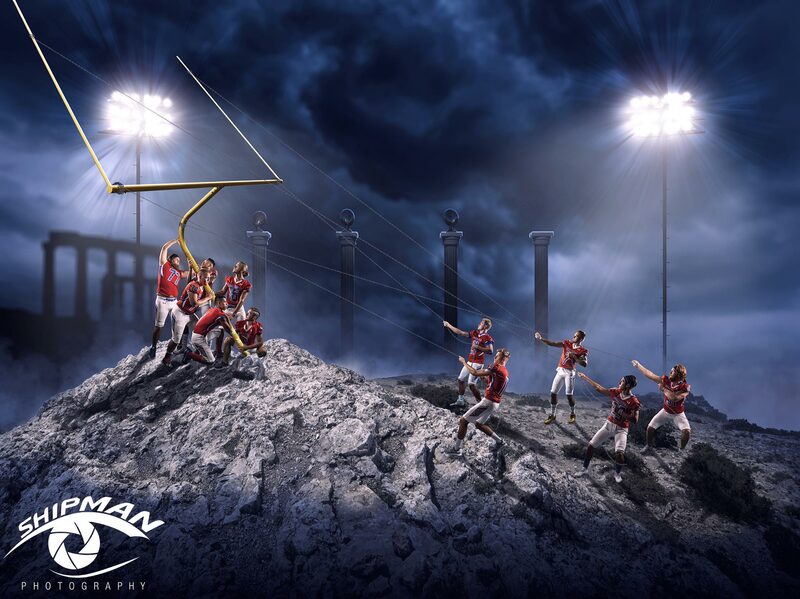 The resulting imagery would look equally at home in an Under Armour or Nike ad campaign, or on the living room wall of that athlete’s family.